Home Lamy News New Lamy Safari -- and it's not neon! 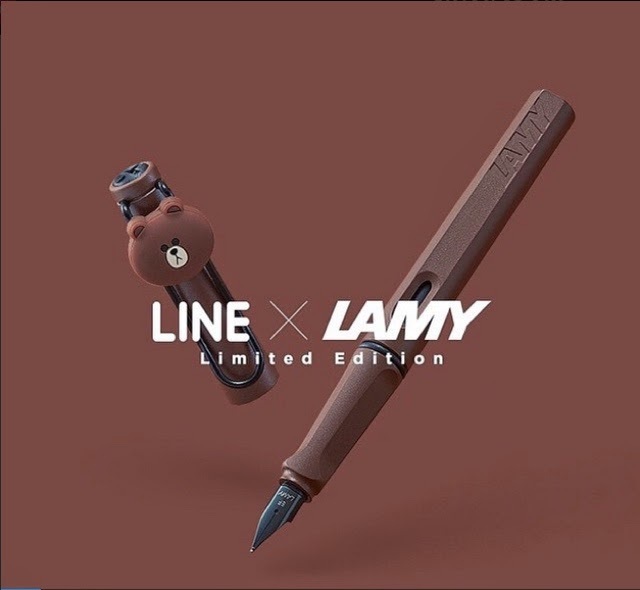 New Lamy Safari -- and it's not neon! Finally a use for that clip! 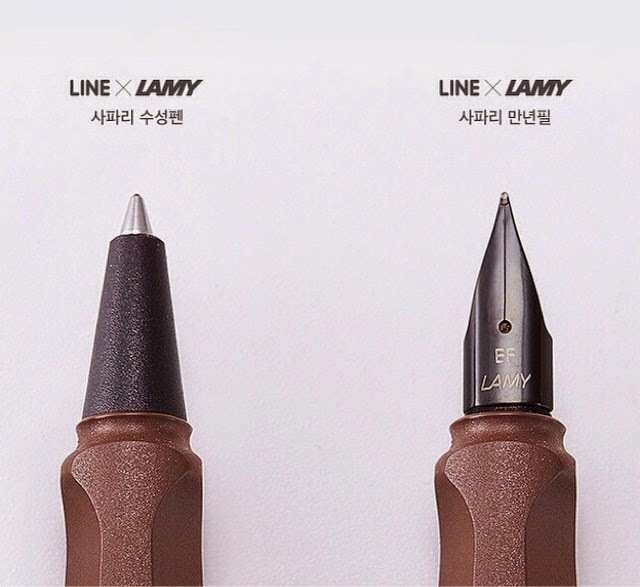 In collaboration with South Korean LINE, Lamy has produced a new brown Safari with the same matte black trim and texture as the charcoal grey one. 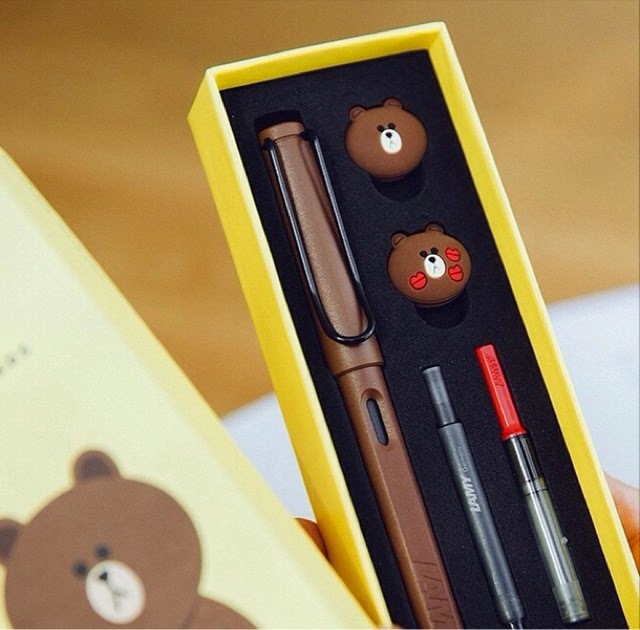 It also comes with two added bonuses: bear icons to put on the clip à la Crocs Jibbitz. The price (₩54,000 or ~ $50 USD) is higher than most Safaris though, so this isn't exactly an instant buy. Distribution also isn't very wide at the moment: it's currently only available in LINE's flagship store in Seoul. But starting March 16th, it should be available for purchase online.